I copied this guy's video. Starts around 57 minutes in. You just endlessly fall in the southern direction until you reach solid land. As you can kind of see, the closer you get to the dark palm trees, the more things start to load in. After all that falling and you finally land, if you walk East toward the floating rock from my video it starts to load in more dark-colored land. 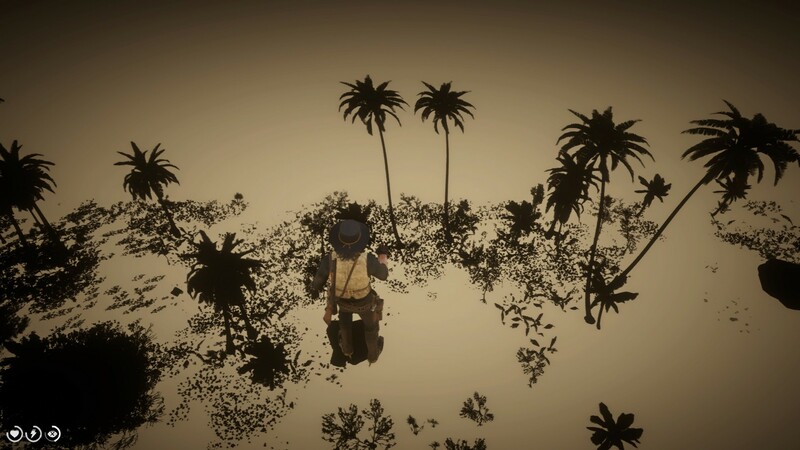 You'll eventually fall again, but you can fall in that direction and eventually more of the island will load in with that dark-colored shadow texture. Like I said, I didn't get a chance to explore it, but it was solid so if you could land there and live you might get to wander around. Funny coincidence... I did this lastnight a bit further west. Traveled all the way around from the north campsite glitch to south of Mexico. Fell through the world but the game considered it death and respawned me in New Austin. That's cool so it is Guarma after all! Kind of disappointed it isn't some new area but also happy to know you found its location so I don't have to worry about it anymore. 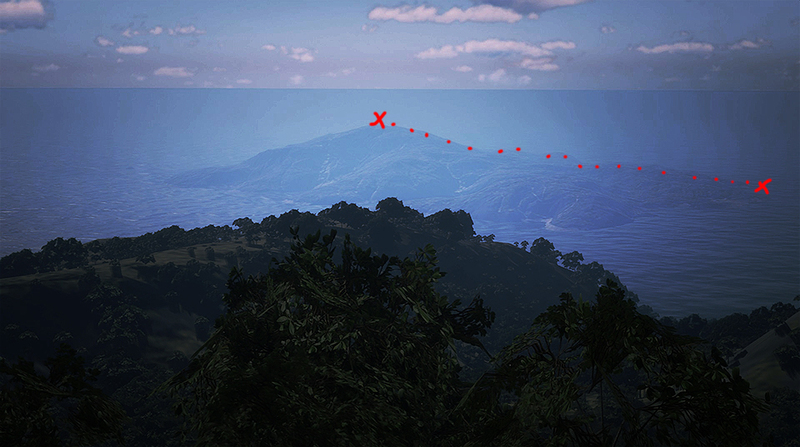 Were you able to get over over to the land from down there without making Guarma spawn? Looks like a backstage developer section. There could be others like this or maybe this one wasn't scrubbed out because of how far away it is from activity. Seems like this new "patch" changed nothing in SP. Well thats good to hear, the next patch won't be before April the earliest, so we're good to go for more explorin'. 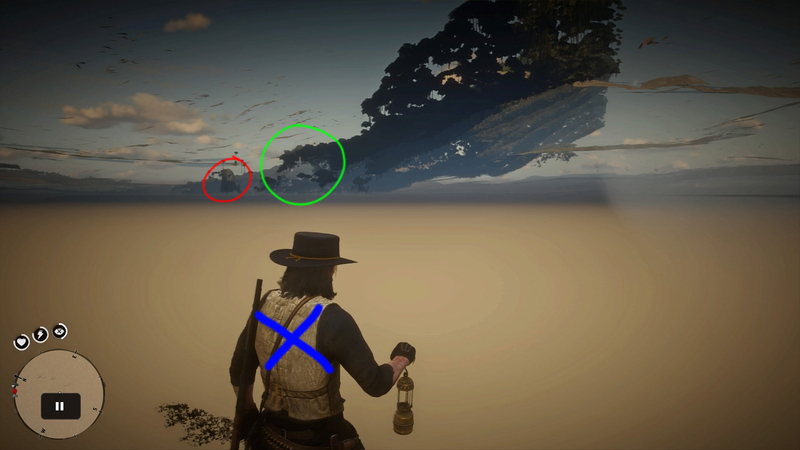 edit: What about the first person and lantern in both SP and O, and generally out of map in RDO though. I guess I'll go be the guineapig then lol. I want to know either way anyway. *Tempest Rim access camp no longer reachable without a save (needs more testing, since I had a camp there already, so after pulling it down it wouldn't go back there). *The Mission that allows you to Freeroam NA as Arthur (& Marston) has been patched from what I've heard here. Confirmation? *Tempest Rim access camp still exists. Save files still load there. *Pass-out drunk/Out of Map glitch still works in Manteca Falls. *Oil lamp/Gun Wall Breach working. *Out of Map via Lannahechee River doable. Do you mean that after you do the glitch up there with the camping you could save and when you reload the save he'd still be up there? And now they doesn't work? Guess I'll be staying offline. Yes, that particular camping spot that is unreachable on foot, considered "outside of the map" near Barrow Lagoon. Where you could trot on up to Tempest Rim and leave the map. You could save at it and reload from it. I have a save there still, after the update. So after loading in, I tore down the camp and dropped back into the map. Now when I try to set up camp just near it, it puts me on a hill Southwest of Barrow Lagoon Instead. I found that campsite, it feels like a "f*ck you" directly to me. I got under Guarma. Had a look around. Didn't really find anything of interest though. Good old C*ck-blockStar. I miss when single player games couldn't be changed. Companies had to do a good job the first time. I have no clue how you managed to get under the island, but it is impressive all the same. I'm sure there are still plenty of secret places to find unless R* already patched them all out. 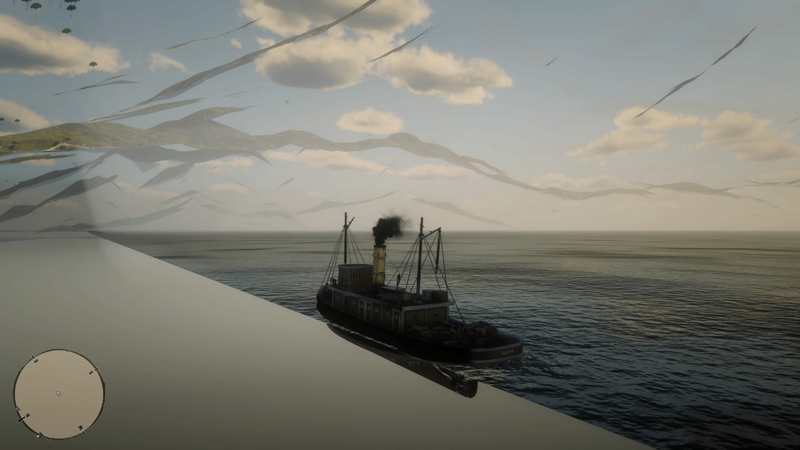 I forced the steamboat in under the map where the shark spawns. It is 100% the same spot as the underground beach assets. I was looking for them when Guarma had loaded in, but couldnt see them. Still find it really strange how it's underwater level. I'd so laugh if they started RDR2 by opening a build of GTA V. Deleted all the assets, and then started building RDR2. But accidentially left a bit of the beach from GTA V behind, including the shark. So they patched the Bronte mission glitch? Nicely done @DuPz0r . Now tell us, how could we avoid invisible sniper in Aguasdulces? I have never had issues with soldiers/snipers unless I pull my gun out in the Red Zones. Also don't antagonize local villagers. Once you've activated the sniper once, it stays. So make sure you just behave inside of the main story areas. After more time than I wish to share, I got into the mutant banjo player's house in Butcher Creek... There's actually props in there! I’m starting to find that this glitch works better when you use a shotgun instead of a pistol. Still not that easy but I’ve had a little more success that way. I've figured out that you can force entry of some hard-to-get places, using buggies, stagecoaches and even by standing behind NPC's close to walls. Most of you here know how to get back from Guarma, but I keep getting messages from people asking how to get back without dying or being shot, so they can collect the animal data. So this is how I do it. A quick & easy guide to leaving Guarma back to the Mainland. And here's how to get Arthur Morgan back to Guarma after the recent patch. 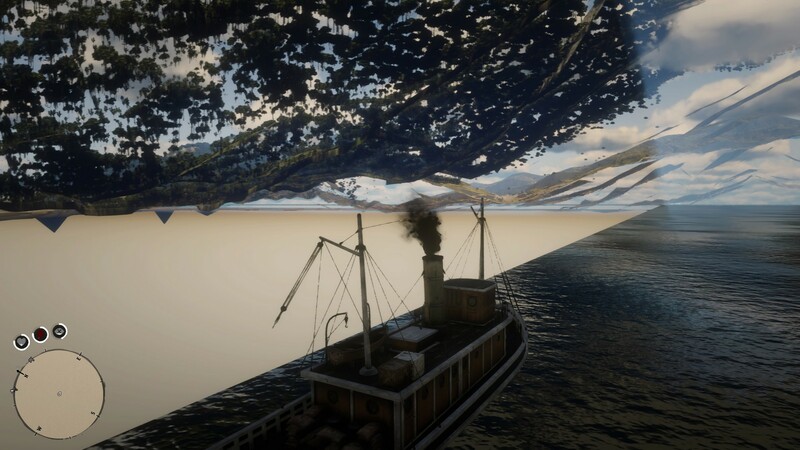 I finally did the duproz steamboat glitch out of the map and spent longer than I'd like to admit (>2 hours) going straight North. Never did get anything but ocean, so I think it goes on forever. Nice. I had a feeling it would go on forever, i treid for an hour once. I think i have found a new passout spot, but i need to test it more, it's a little unpredictable at the moment. I need to tweak it a bit more. 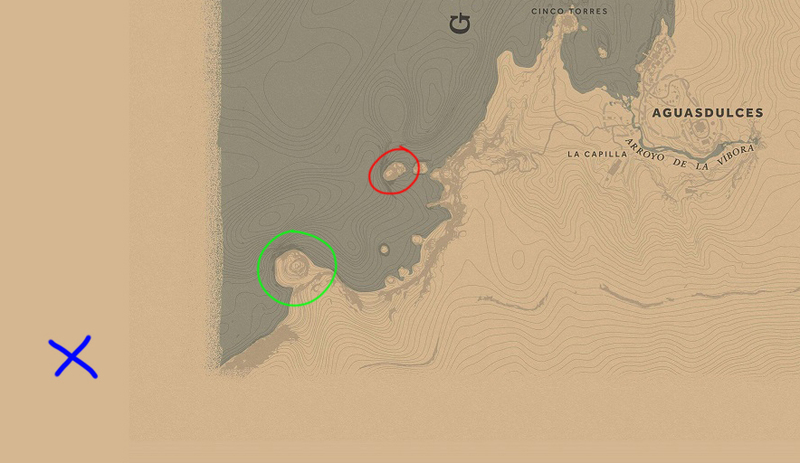 I have just discovered that Guarma's Southwest Sub-island is reachable and traversable! I landed the boat roughly from this angle and traversed up to the peak just under Mexico's endless terrain. Also, this wouldn't be a mapping thread if I didn't chart Guarma's Map Boundaries. 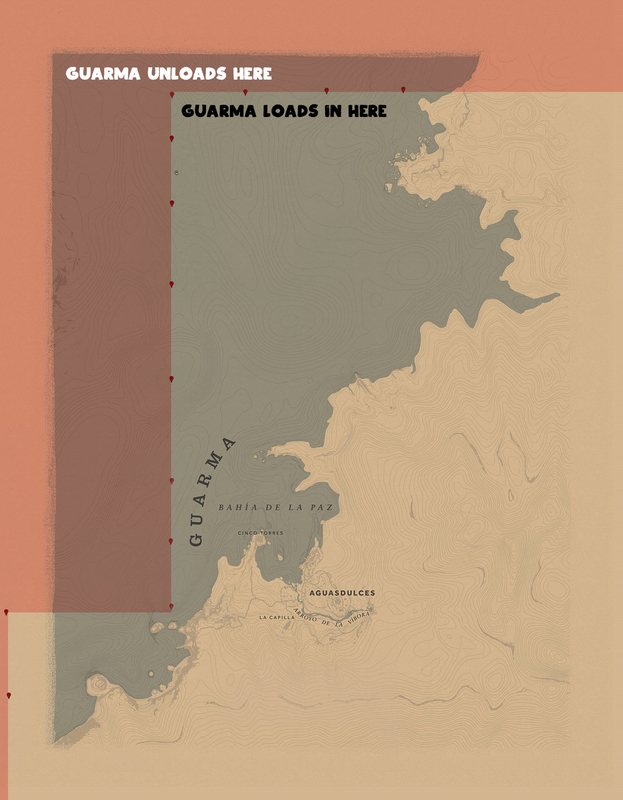 Here's the line where the game decides to load in or unload Guarma's Island Mesh.